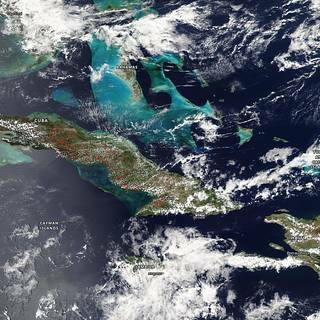 Dozens of fires were burning on Cuba on April 04, 2019, and were detected by the Moderate Resolution Imaging Spectroradiometer (MODIS) on the Terra satellite. 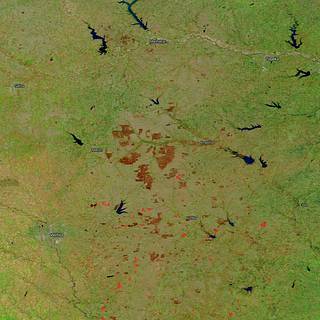 Kansas has a ritual in the springtime--the annual burning of the tallgrass prairies. 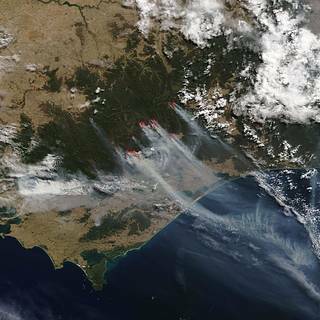 Australia's record-breaking summer heat is contributing to the outbreak of bushfires in the Victoria territory. NASA Earth Observatory images by Robert Simmon based on data from CERES. Caption by Mike Carlowicz. Sunlight is the primary driver of Earth’s climate and weather. Averaged over the entire planet, roughly 340 watts per square meter of energy from the Sun reach Earth. About one-third of that energy is reflected back into space, and the remaining 240 watts per square meter is absorbed by land, ocean, and atmosphere. Exactly how much sunlight is absorbed depends on the reflectivity of the atmosphere and the surface. 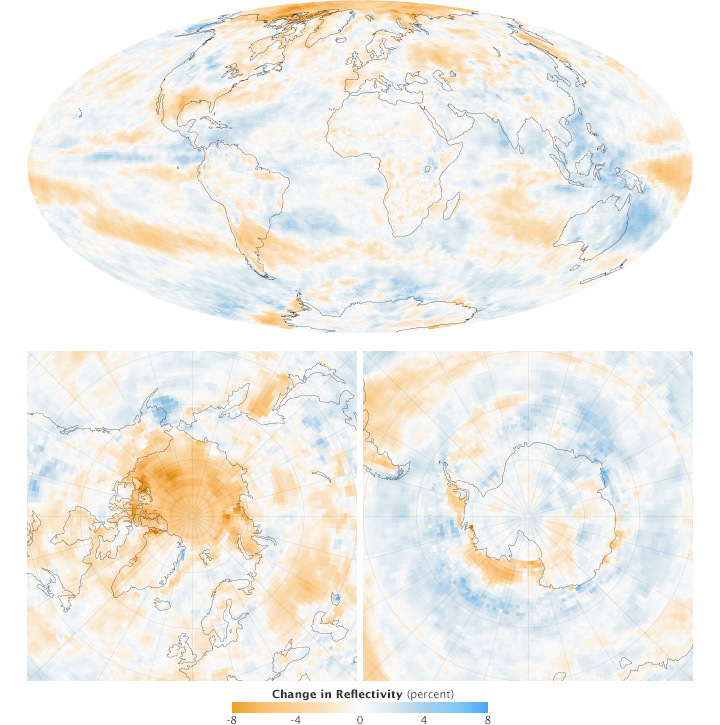 As scientists work to understand why global temperatures are rising and how carbon dioxide and other greenhouse gases are changing the climate system, they have been auditing Earth’s energy budget. Is more energy being absorbed by Earth than is being lost to space? If so, what happens to the excess energy?